Human beings failed horribly at evolution. Every other animal has hooves, paws, claws, or some other attachment at the end of their legs that allows them to walk around the world with impunity. Not us. We have to wrap our feet in the hides of other animals along with extra textiles in order to get from our house to our car. We can’t even get from the couch to the kitchen without a Lego crippling us for life. Worst of all, even with all our shoes and boots; slippers and sandals; or mukluks and galoshes, we still need to have socks. Otherwise our own gross oils and sweat wreck our footwear, leaving us to limp home in defeat. 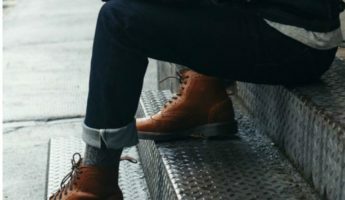 The human foot has the largest pores of anywhere on our body, which means they produce large amounts of sweat and oil that leak out into our shoes. 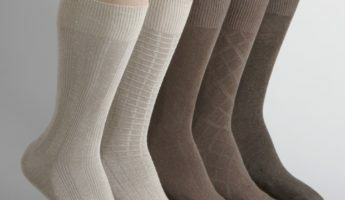 The purpose of socks is to wick away all that moisture, and allow it to evaporate before it reaches the material of our shoes. By preventing all our vile juices from saturating our footgear, we help it stay clean and last longer. 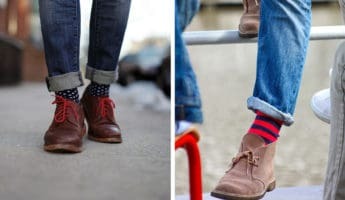 In the modern world, socks are also a fashion and comfort accessory, which means buying them is a feat that requires a little science, a touch of style sense, a dollop of ergonomics, and a bit of trial and error to get them right. 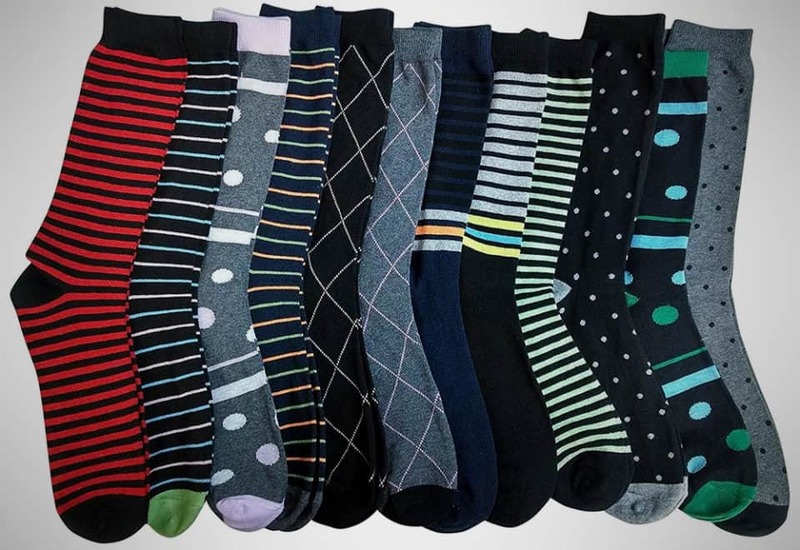 Like our underwear, guys often get into the habit of thinking about our socks much like we think about our underwear: Wrong. We will slap on just about anything, or nothing at all, and head out with a spring in our step. One need only look at how many guys slap on black socks with sandals or white tube socks with a suit to see our failures given form. A low profile is a necessity in dress socks, because they have to go into the restrictive body of a dress shoe. They also need to align to the shape of your foot, otherwise they’re going to slide and bunch, causing endless hours of discomfort as you try to get them to move back into place. Right and tight is the way to go. 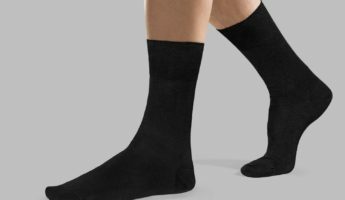 It’s tough to get much comfort out of a sock that is built to be form-fitting, but a good set of dress socks will add in extra padding to help reduce the impact of walking while also preventing your shoes from abrading your skin, leaving blisters. They should have a little bulk to them. If you feel your feet getting hot spots that begin to hurt, you either need shoes that fit, or socks that protect. 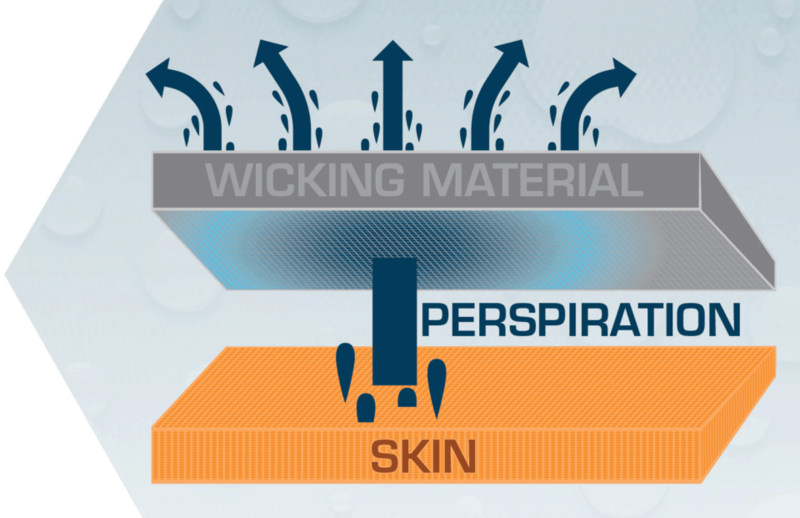 Merino wool tends to be the best fabric for this, but there’s no shortage of high-quality, breathable fibers that will get your sweaty funk up and away from your skin so it can evaporate. 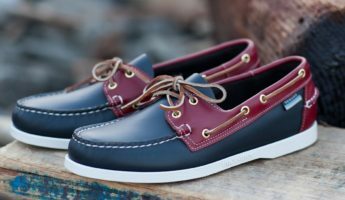 Since your shoes aren’t going to breathe well, this is imperative as a wet foot is an unhappy foot that will leave those nice leather oxfords a broken mess. 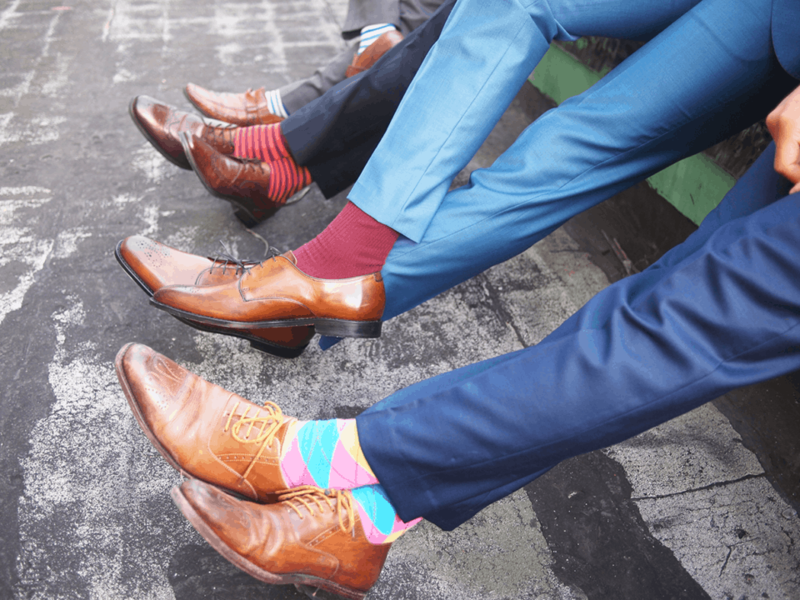 How comfortable your socks are is largely dependent on what materials they have. 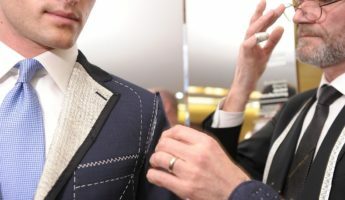 Natural fabrics such as cotton and wool are usually good, since they bear moisture-wicking properties, add in a little natural padding, and retain their shape well. 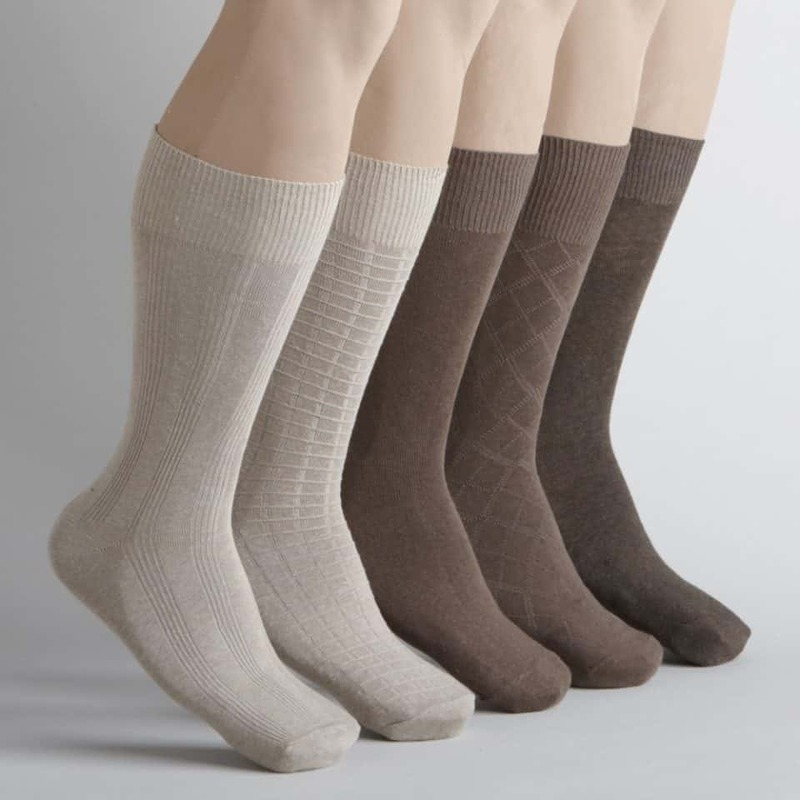 Synthetics generally don’t do these things, nor are they comfortable, but adding in some polyester, spandex, or other human-made materials often give the socks more life. Only your body will know what feels right when you put it on. Those are the 3 major boxes to check on how a sock works, but they also need to be chic and classy. 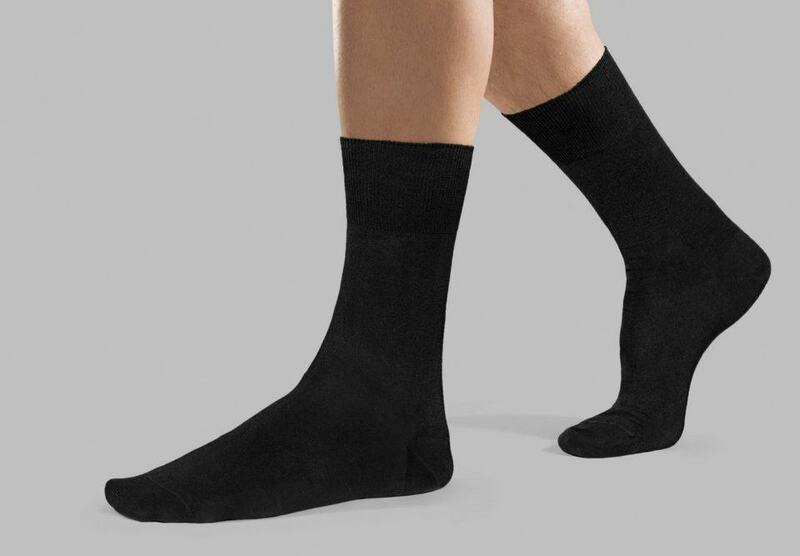 Many guys will grab a big pack of black socks and call it a day. That’s actually not a bad start, as black socks will technically work with any outfit, can complement most suits, and typically look professional enough. If barely clearing the bar is your aim, you can stop reading now. 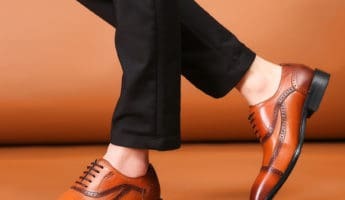 Those who want to do a little more than Dress Sock 101 can use the following rules to help them pick dress socks that are a step above the norm. This is an easy way to ensure that your socks don’t look out of place. If wearing a set of blue slacks, get a sock that is blue. 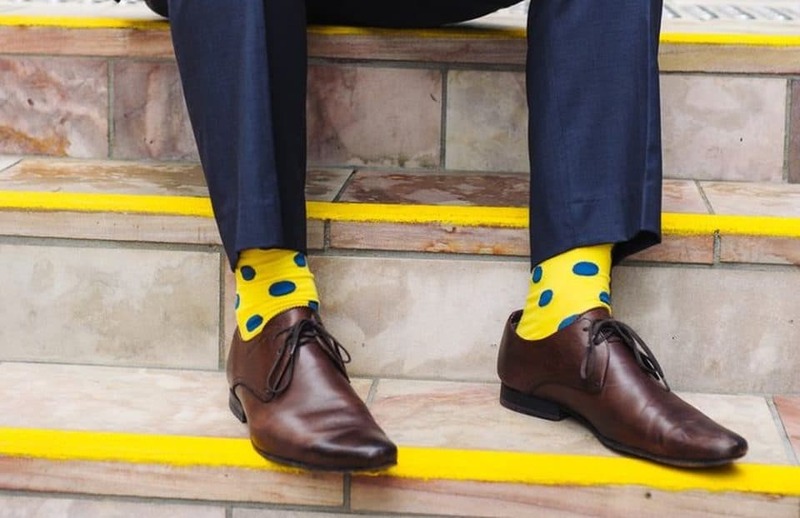 You don’t want the colors to match precisely, as that looks odd, but having a sock that’s near enough on the color wheel to your pants will get you started. 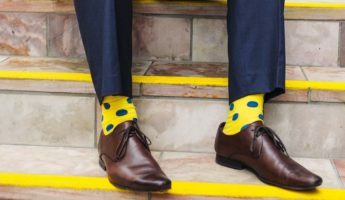 If you’re choosing a sock with a pattern, make the most prominent color – that is, whatever catches your eye – the same as whatever is on your legs. Or, swing to the opposite end of the spectrum. Now the game is, pardon the pun, afoot. Savvy dressers know that the best way to dress in an eye-catching way is to have items contrast, but not clash. 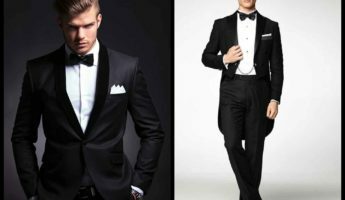 The difference is largely in showing that you know what you’re wearing. 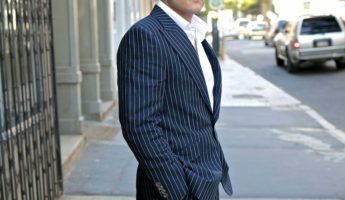 If you have a pair of hot pink dress socks you stole from your sister, it’s actually possible to get them to fit in with your favorite pinstripe, so long as you have an equally eye-jarring pocket square or even a pink shirt tastefully muted down with lots of blue. The key here is to show that the contrast is intentional. 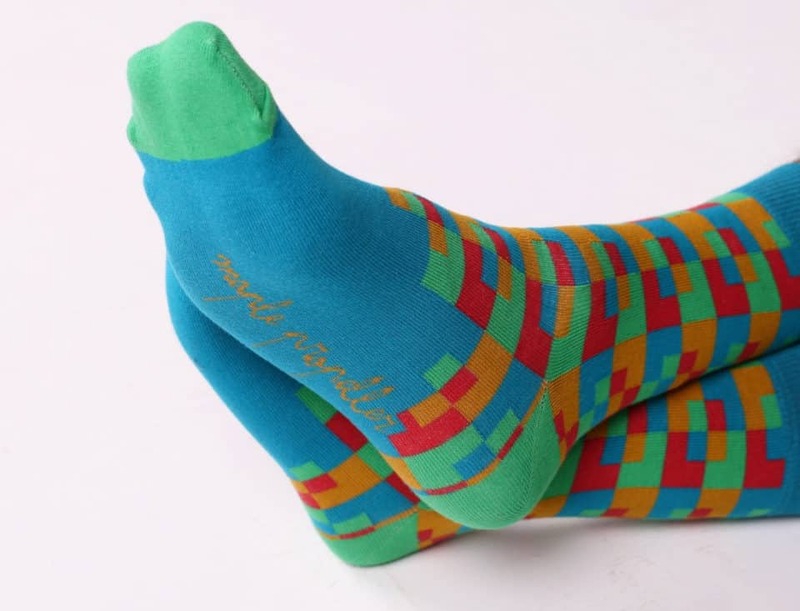 You can have loud, bold socks – depending on your office or business environment – but they can’t exist in a vacuum. Somewhere in the pattern must be a nod to other aspects of your outfit. This is extrapolating out the notion of matching your socks to your pants. In that case, you’re combining a major color of your outfit to another major color. With patterns and brighter colors, it’s better to match them to other small accents in your wardrobe. 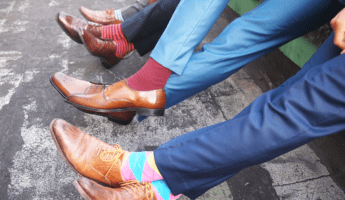 Try those hot pink socks with a pink paisley tie, while everything else is charcoal gray over olive green and you’re delightfully eccentric and fashion forward. 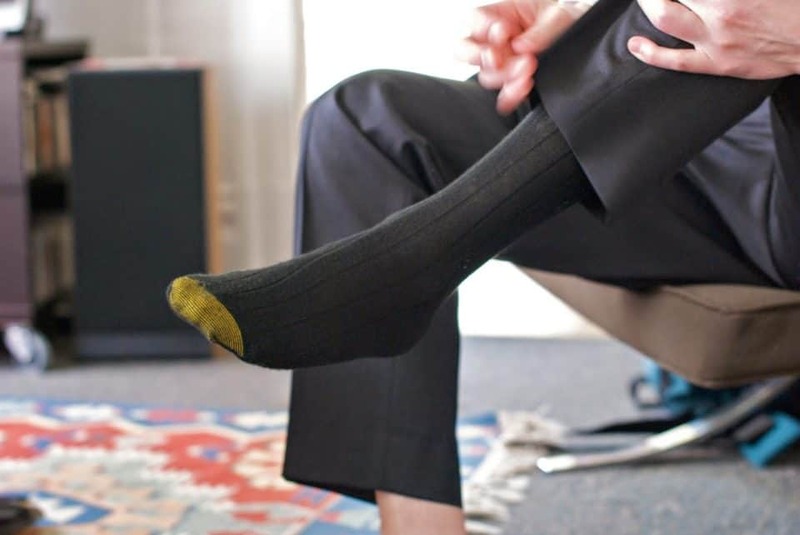 Dress socks need to fit appropriately, and that means being picky about where the heel lands. 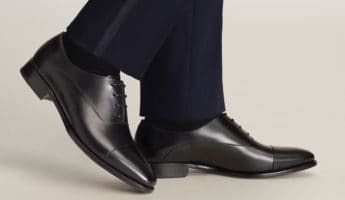 Get a set that are too big and the heel bend will ride up over the cuff of your shoe, which makes you look like a little boy who took his daddy’s clothes. The heel should be where your heel is, and the tops of the socks should reach to nearly your knee. That way even if your pants rise up, as is the current style, they won’t ever show skin. 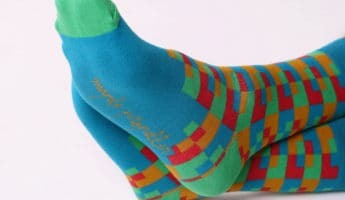 Most dress sock manufacturers know these rules and make it easy on you, but be aware of socks that put strange patterns on the heel or toe gussets. You may find yourself at a business lunch in Japan where you must remove your shoes and become a laughingstock in seconds flat.